There were so many times I thought about telling you the truth, Eva. What stopped me was always the same thing….. When Eva’s husband Jackson tragically drowns, she longs to met his estranged family. The journey takes her to Jackson’s brother’s doorstep on a remote Tasmanian island. In a single breath everything changes. The memories of the man she married start slipping through her fingers like sand as everything she ever knew and loved about him is thrown into question. Now she’s no longer sure whether it was Jackson she fell in love with – or someone else entirely. 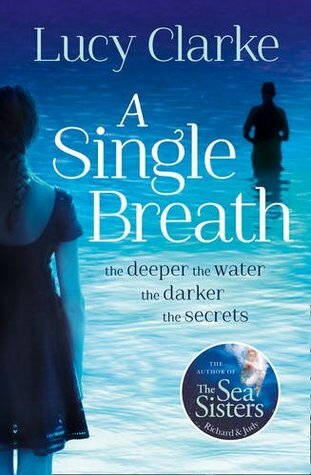 I have read Lucy Clarke’s first novel ‘ The Sea Sisters’ and absolutely loved it so couldn’t wait to read this one. Lucy has a way of writing that you never know what’s coming next. There are so many twists and turns in this book, you think you know what’s going to happen and then something unexpectedly happens which you weren’t prepared for. The plot is so gripping and the words are so beautiful, how Lucy describes everything is just amazing.The cover to this book looks amazing too. Loved this book, it will stay with me forever.